This trip is best done over four days, with three nights of camping. The first leg caters for arriving at Wog Wog and then a short days walk. The second day however, is a bug push all the way to Styles Creek, with the remaining two days spent taking it easy returning along mostly the same trail. Lots of amazing views to be seen throughout this trip with the majority of walking on marked and popular tracks. This leg begins in the car park at the Wog Wog national park campsite. 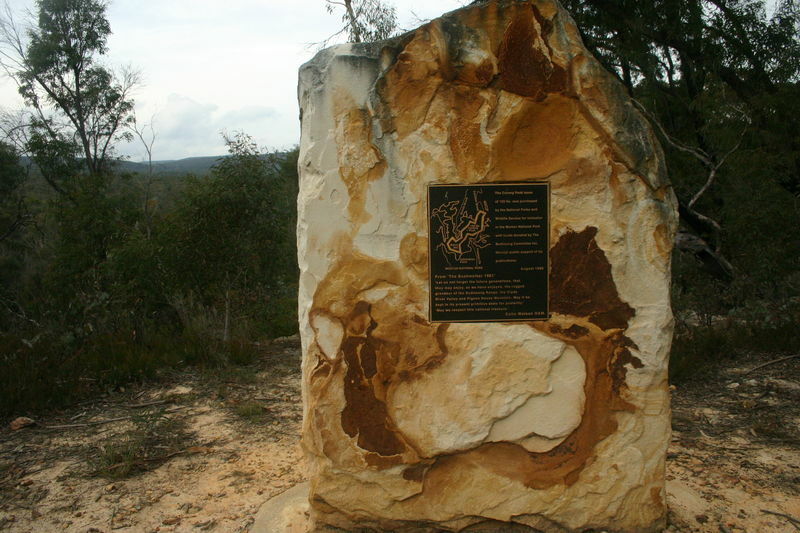 Head out of the area to east, following the main trail out over the creek and onto the well marked bush trail. 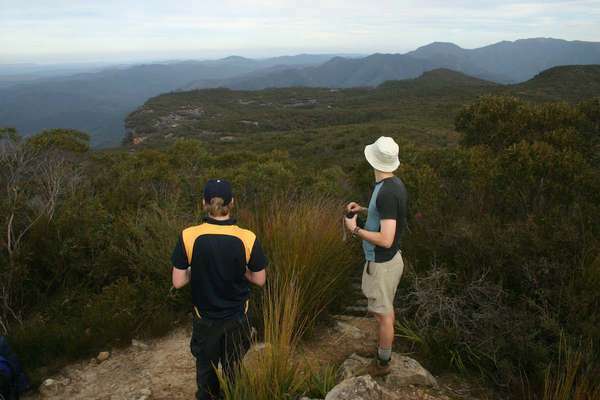 The track takes us through some forest areas before hitting the ridge line and opening out towards Corang Peak. You can chose to walk up Corang Peak or take the low road around. Shortly after Corang peak, you will pass Corang Arch which is always worth a stop at. Once passed the arch, head down from the ridge into the valley floor where a camp site can be found on either side of the main trail. Today you need to rise early, as there are many hard miles to be walked. Set off to the east, towards the Burumbeet valley. If you are early enough, the fog should still be hanging around in the valley as you pass through. At the end of the valley, the track heads up the stairway to heaven - or the stairway of death depending on how your legs are feeling! The steps are large, but easier than walking through the bush. Once out of the valley, the trail continues along towards Bibenluke moutain. Keep an eye out for a camp site around here, as we will be using it tomorrow. You should be able to find the main trail break easy enough, however there is a short cut track that can be found about half a kilometer before the main junction. Take either track and head up out of the valley to the North. 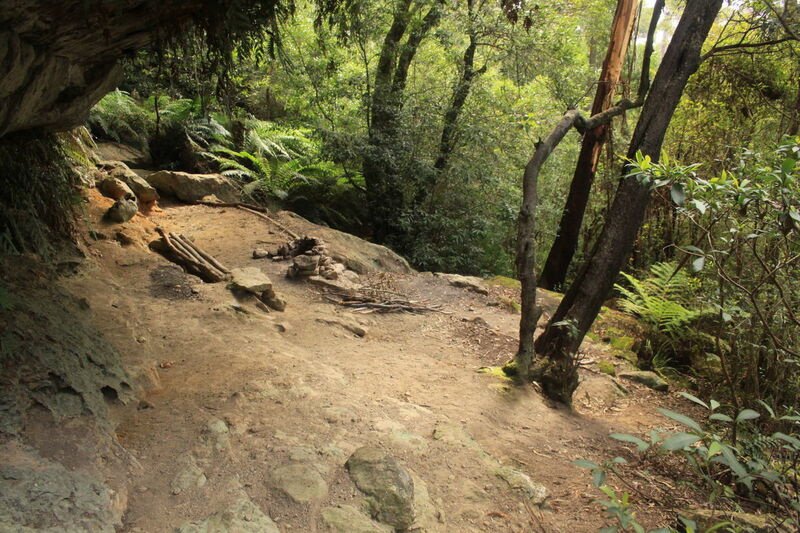 This is where the trail becomes more difficult, it is steep and likely to be a bit overgrown in stages. Keep following the track through, and you should be able to locate some markers along the way. The track winds its way along the cliff face for a while before getting to the top of Mount Tarn. There is a well marked track across the top of Mount Tarn, which will help you avoid the bog. The track eventually drops down to a saddle once you get to the Northern end. This saddle takes you across to Mount Haughton. You will again be traversing along the cliffline here to the north east. Lots of great camping caves along here, as well as a water supply. If you are running out of daylight, pick any of these caves for the night. If you still have time, push on to the Northern tip of Mount Haughton and find the track that takes you down into the valley of Styles Creek. If you have found the right track, it should be easy enough to get to the bottom of the valley, then try and find a dry track over to Styles Creek for the night. You can sleep in a little today after a hard walk yesterday. But dont sleep in too long, we have some exploring to do. Head back the way you came, back up through Mount Haughton, and on to Mount Tarn. You should have plenty of time to explore the top of either mountain today. On Mount Tarn there is also the Anvil to look out for once you reach the peak. 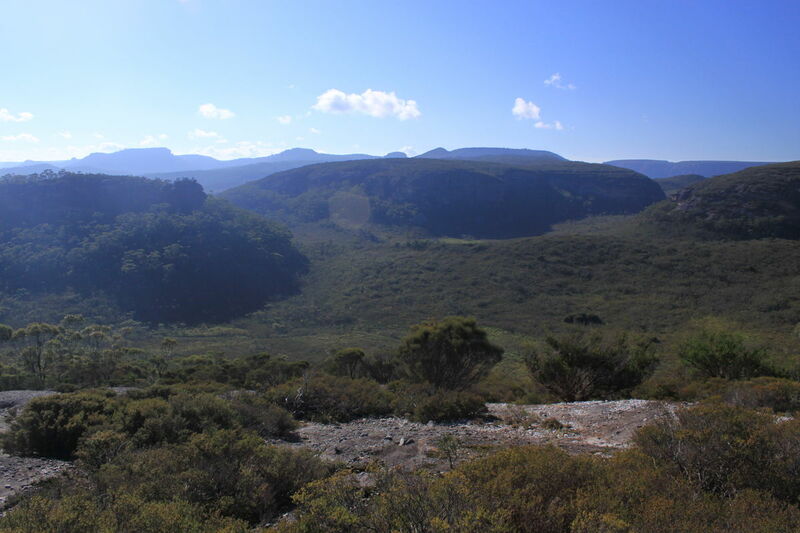 From Mount Tarn, head back into the Bibenluke valley and locate your campsite for the night. If you dont use the one we found yesterday, there are also some camps closer to Bibenluke peak, or head back to Burumbeet valley. Our final day, and another log walk today. Make your way back to the start of the Burumbeet valley, and locate the faint junction that will take us towards Corang River. This track is likely to be overgrown, but it is worth the effort to get to Corang River and its huge waterholes.